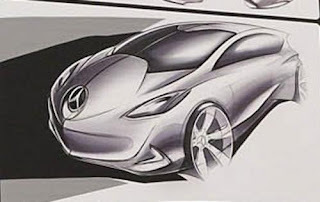 According to a recent report, Mercedes is developing a new car to battle the BMW Megacity. Tentatively dubbed the Megacity Mobility (MCM), the vehicle will feature aerodynamic styling which is being created by the company's Japanese design studio. Furthermore, initial reports suggest the car will use an electric powertrain and ride on the next-generation Smart ForTwo platform. As we have previously reported, the 2013 BMW Megacity will feature a carbon fiber reinforced plastic (CFRP) body and a 150 hp (112 kW / 152 PS) electric motor. It will be powered by a 35 kWh lithium-ion battery and have a range of approximately 100 miles (161 km).